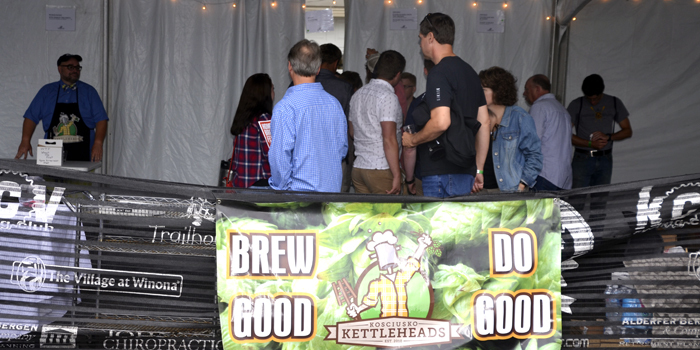 The Kosciusko Kettleheads held their eighth annual Homebrew Fest on Saturday, June 23. 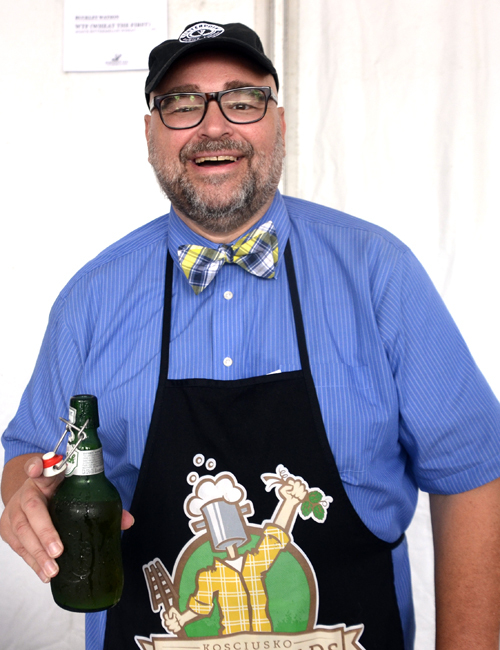 WINONA LAKE — The Kosciusko Kettleheads held their eighth annual Homebrew Fest on Saturday, June 23. The event took place from 6 to 9 p.m. near Cerulean Gardens, Winona Lake. 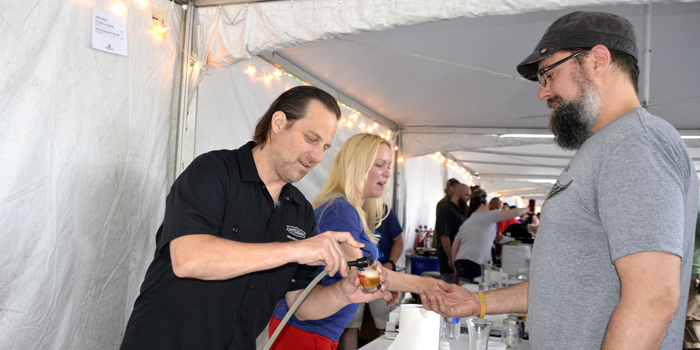 Purchase of a $25 admission ticket gave patrons the opportunity to taste samples of over 40 locally made beers and ciders. The brews ranged from light, fruit-flavored beer to molasses stout. Net proceeds from the event are donated to Combined Community Services. “The proceeds go to CCS to help families in need with utilities,” said Combined Community Services Executive Director Stephen Possell. “These guys are great. 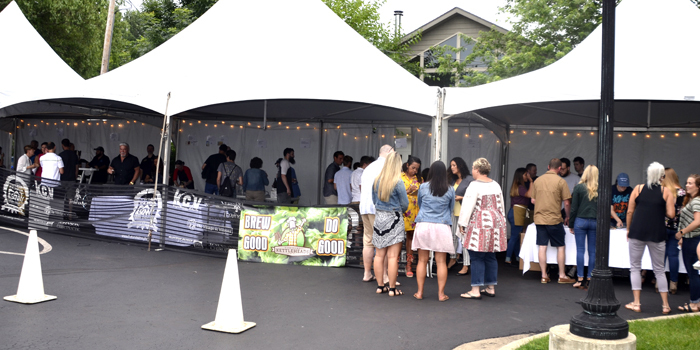 Their motto is ‘Brew Good, Do Good’ and they do.” It was reported that last year’s event raised approximately $7,400 for CCS’s utility assistance program. Brian Kincaid described his Funky Monkey brew as, “Kind of tart, a super fruity, light beer – perfect for this time of year.” Kincaid, who has been brewing his own beer for about five years, said he uses a Belgian yeast and ferments at higher temperatures to increase esters and bring out the fruit flavors. 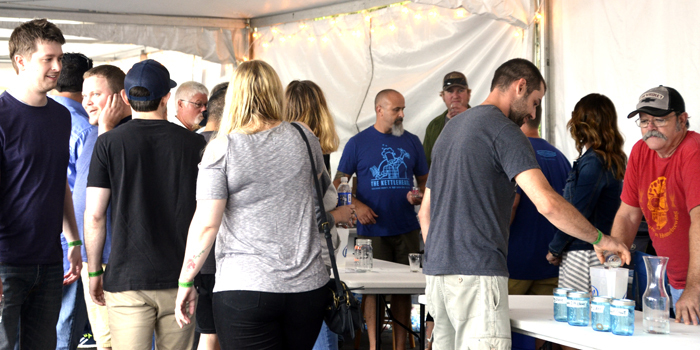 Besides tasting the large selection of beers and ciders, attendees had the opportunity to chat with the local residents who created them, as they asked questions and learned about the processes and flavors of the individual brews. Jars were placed on each brewer’s table so that attendees could vote for their favorite beer using tokens. The winning brewer takes home a traveling trophy. The winning brew and total funds raised were yet to be determined at the time of publication. An update will be provided at a later time. Brian Kincaid serves a sample of his Funky Monkey brew. Net proceeds from the event are donated to Combined Community Services. Attendees had the opportunity to chat with the local residents who created them as they asked questions and learned about the processes and flavors of the individual brews. Buckley Watson has been creating his own brews for nine years.